I-JAMAICA is a video I made in 2005 as the first of a series of 4-5 minute shows in which I travelled to little-known Jamaican beauty spots and people, then tied it in with some music to eventually form a 12-part take-away video gift for visitors. I tried to interest both TV stations, as well as the Tourism agencies in sponsoring it as a regular series, but was unsuccessful. So I was surprised and even glad to see a new series “Dry Land Tourist” which sets out to accomplish the same objective as mine did. It’s always good to promote Jamaica, especially to our own people who don’t enjoy our island as much as we could. However, I must admit that I’d be even happier if the first episode did not feature the very same Millford Falls that I showed in this first I-JAMAICA, which has been on the Internet,on MySpace, FaceBook and YouTube for several years. Even the programme host’s dreadlocks and voice are similar to mine. Co-incidence, I wonder, or immitation? Ah well… Moving right along ……. It was announced by press release this week that a Dutchman will host a film festival in Amsterdam featuring what have become known as ‘reggae films’ ever since the first Reggae Film Festival was held in 2008 in Kingston. 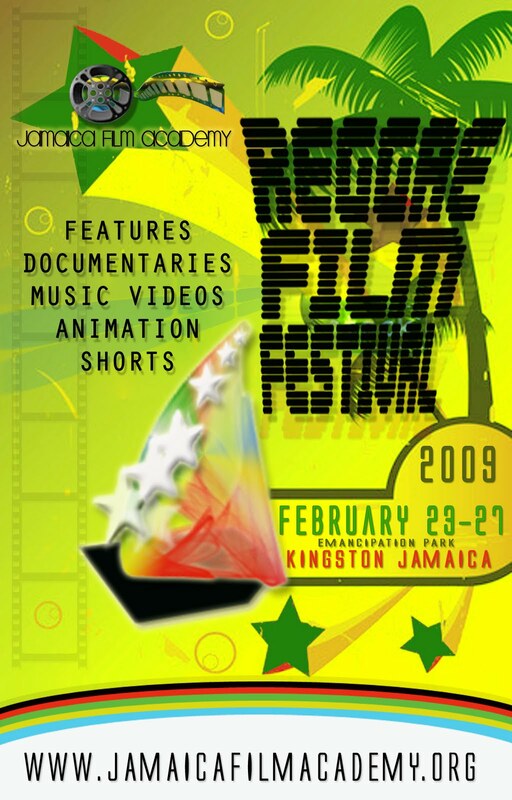 This pioneering 3-day event identified that films inspired by Jamaica’s music and culture had become a specific genre, and to confirm this, film festivals around the world thereafter started including ‘reggae films’ in their programmes. None have done so as comprehensively as the upcoming Dutch event. By calling it a ‘Caribbean Film Festival’ the event does not breach the intellectual property rights of the Reggae Film Festival name, but the similarity of the two events is too great to ignore. A visit to the event website displays a catalog that lists one Haitian film and every single Jamaican reggae-themed feature film made since “The Harder They Come”, including some rare films such as “The Marijuana Affair”, the newly-popular “Why do Jamaicans Run So Fast” and even the newly-released “No Place Like Home” — Henzell’s second and last feature film. By interviewing all the Jamaican film makers he encountered while living here, Martens acquired a collection of information and films from which to now make annual presentations, as well as sales from his website. With such a large catalogue to draw from, plus the resources so easily available to Europeans to finance study of exotic cultures and present their findings, it is clear to see why Martens has been successful in mounting a second festival of Jamaican films in a year when Jamaica itself could not find funds to do so. Martens is now investing in the financing of films for his future festivals, backing Mary Wells ‘Kingston Paradise’ and promising to do even more to invest in Jamaican culture in ways the Jamaican government and private sector should be doing. Is imitation truly ‘the sincerest form of flattery’ as people claim? Or is it a form of exploitation of one person’s idea, and the Jamaican people and culture? Holland’s interest in Jamaican culture stretches back beyond its easy laws in favour of ganja use. Holland had the largest fleet of ships transporting enslaved Africans in the centuries of the TransAtlantic slave trade, with Curacao and Aruba as their ports of sale. Taking away our culture and getting rich from it, is not surprising from someone whose nation’s wealth comes from having enslaved the people of that culture for 300 years? Today’s slavemaster is just putting the ‘jungle’ on display once again in a new format Barnum & Bailey circus and there are always ‘house negroes’ eager to be rewarded for helping the ‘massa’. Peter Gittins, the Englishman who partners the Reggae Film Festival, offered his collection of reggae films to Jamaica for display, sales and archive and co-created the Reggae Film Festival. When Martens steals our film festival idea for his own benefit, what does he give back to Jamaica? People don’t have to travel to Jamaica to hear reggae any more, as reggae festivals in Europe, America and Japan offer bigger alternatives marketing their own brands and products. We don’t want the same to happen to our films. Emiel Martens, you have been caught red-handed stealing the Reggae Film Festival.